Amongst the outstanding range of business ecards which we have on offer are some outstanding one to wish somebody good luck. Say, for example, somebody you have got to know through work has got that promotion they were going for, or is moving to another job, do you think that they are going to remember mere words spoken in the break room or at the water cooler? It is the meaning behind those words that are more important than the words themselves, and many utter them because they think they have to. 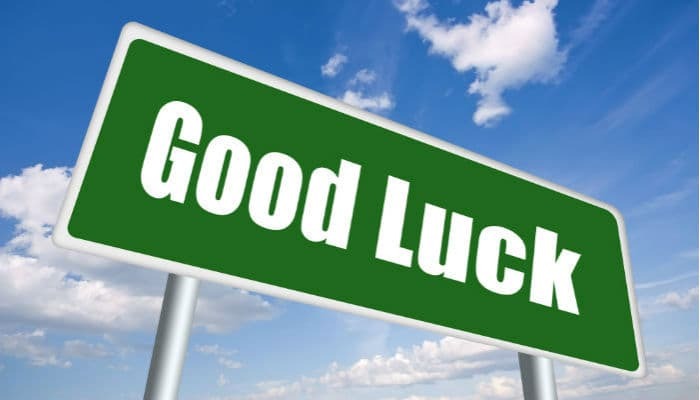 These brilliant One Direction ecards display an image of a road sign emblazoned with the words 'Good Luck'. You can then add your own message as a permanent reminder to that person you may never see again that you do truly wish them the best of luck in their new endeavour. Suitable for both genders, this one of the many outstanding ecards we offer and by taking out one of our subscriptions you can send as many as you like, for whatever occasion. You will never be caught out again and anyone receiving this ecard into their email inbox will be both touched and delighted that you are not one of those who uttered empty words in passing. Sending ecards for the Christmas holiday is the norm these days so why not use our extraordinary holiday ecards for business to deliver a lasting impression.